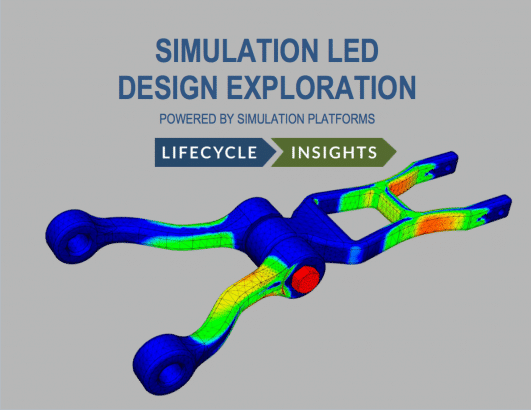 Simulation led design efforts have long promised benefits. Yet, realizing that value has been challenging. This eBook takes a deep dive into the state of simulation led design and a new solution for it. This eBook is of most value to engineering managers looking to realize the value from simulation-led design efforts. When it comes to the functional aspects of engineering, there are clear advantages to conducting simulations during design. During the conceptual stages, running such analyses lets engineers know if their target requirements are feasible and perform trade studies on different ideas. In detailed stages, conducting such activities lets engineers interactively size the geometry of their designs and avoid costly errors that could turn into catastrophes downstream. In all, running simulations during design allows engineers to make more informed decisions that translate into better designs, fewer change orders, lower product costs, fewer failed prototypes, and innumerable other advantages. However, it has not been easy to realize the benefits of simulation in design. Tactical execution matters. It requires skills and knowledge in four crucial areas: engineering physics, analysis methodologies, Computer Aided Design (CAD) software and Computer Aided Engineering (CAE) software. To date, the burden of enabling such an effort has fallen to a single role: the engineer. Yet with all of the responsibilities they bear, modern engineers have little time to gain and retain skills and knowledge in all of these areas. More importantly, they rarely have the time to execute such activities even if they do have the necessary knowledge and skills. So far, technology hasn’t helped address these challenges, as they so often have merely simplified analysis tools and integrated them into Computer Aided Design (CAD) applications.